With this product, you earn 698 BIG TIME point(s). What time is it? It is time to show love! 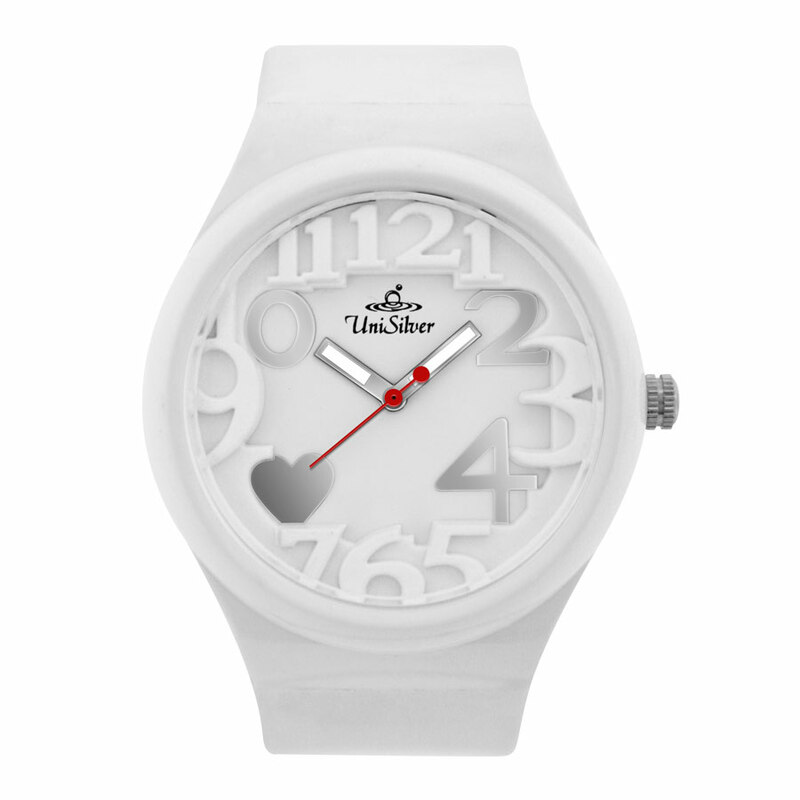 Give your fair share of love round clock through our 8 o' Hearts Collection from the FLXY Round Series. They are so much fun, loveable and fashionable! Moreover, the straps are interchangeable so you can mix 'n match them with the other FLXY Round Series watches to create your own designs. Their cheerful and unique appeal will surely bring a smile to those who sees them. Wear the 8 o' Hearts Collection with your light and casual attires for a fun and cool look. 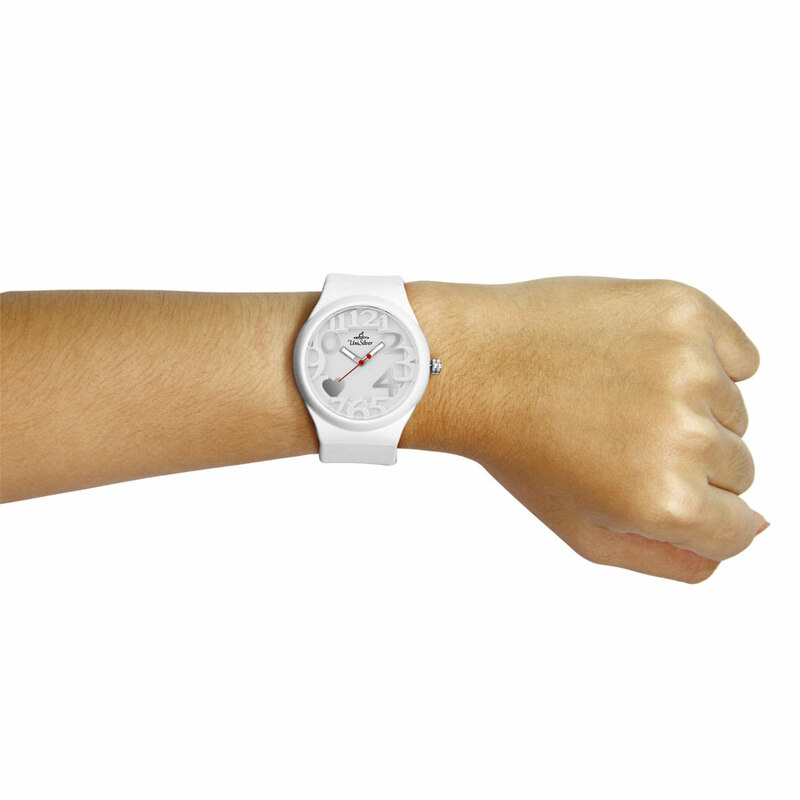 2005 marked the year UniSilver Group International Corporation introduced the UniSilver TIME brand of watches. © 2019 UniSilver Time. All Rights Reserved.